In the first census of the People’s Republic of China (PRC), carried out in late 1953 and early 1954, officials tabulated over four hundred different responses to the question of minzu identity. This deluge came in response to the Communist Party’s promise of ethnonational equality, which entailed a commitment to recognizing the existence of ethnonational diversity to a greater extent than their predecessors had ever been willing to do. Over the course of the subsequent three decades, however, only fifty-five of these were officially recognized, which entailed a remarkable level of categorical compression: from four hundred potential categories of minzu identity to under sixty. The most dramatic case, again, was that of Yunnan Province. Out of the four-hundred-plus names recorded in the 1953–54 census, more than half came from Yunnan alone. Over the following years, however, only twenty-five of these were ultimately recognized by the state. Fan Wen (范稳), the Chinese Catholic author who recently completed his fictional trilogy spotlighting cultural and religious collisions in the “multicultural wonderland” of the Yunnan-Tibet border, now has another historical novel in mind. The first book in the published series, Harmonious Land (水乳大地), recounts the tale of a multi-ethnic settlement in Lancangjiang Canyon (gateway to Tibet), beset by battles between arrogant French Catholic missionaries, incompetent officials and their marauding troops, Naxi Dongba Shamanists, and the dominant Tibetans, not all of whom lead pacific, vegetarian lives in the local lamasery. Q: Word has it that you’re working on a new novel about the rail line linking China’s Kunming and Vietnam’s Haiphong that was constructed during French colonial rule of Indochina. How are you preparing for this project? A: Yes, it’s about this railroad that’s soon to be completely abandoned. I rather enjoy the ‘history of decline’. It gives one a certain sense of desolation. After the Yunnan-Vietnam railway was completed , it actually brought with it the collision and fusion of two distinct civilizations. The railway passed through the lands of several of Yunnan’s ethnic minorities, whose cultures were more backward than that of the Tibetans, and even more vulnerable. I intend to use several French nationals who were working on the railroad as the main characters. I’ll write about their lives in a foreign land, and their experiences against the backdrop of that alien culture, including the dangers they faced, their loves and their fates. At last author Fan Wen (范稳) has his reward for a decade of immersion in the multicultural wonderland along the Yunnan-Tibet border: Canticle to the Land (大地雅歌), the closing novel in his longish trilogy, has just been published in Chinese. That day in 1999 when he came across the “lonely” grave of a martyred Swiss missionary in Lancangjiang Canyon, Father Maurice Tornay, he realized he had found his “sacred vocation”. Indeed, the area straddling the provinces of Yunnan and Sichuan and Tibet autonomous region is an anthropologist’s dream. 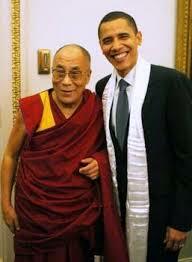 One finds Tibetans, Han, Naxi, Yi, Lisu and other ethnic groups living together. Zülfü Livaneli, the Turkish writer, musician, singer, journalist and member of parliament, recently toured China to promote the launch of the mainland Chinese translation of his popular novel, Bliss (Mutluluk), or 伊斯坦布尔的幸福. Now a movie as well, Bliss is a melodramatic tale of a young village woman who is raped by an elder relative. When she doesn’t hang herself out of shame, as is expected, the task of restoring honor to the family (by ending her life) is assigned to another male relative. The novel takes us from Van in the southeast to Istanbul, touching on most every controversial aspect of “Turkishness,” from honor killing to the Asia-Europe divide represented by schizophrenic Istanbul, and the guerrilla war waged by the Kurds against the Turkish state. 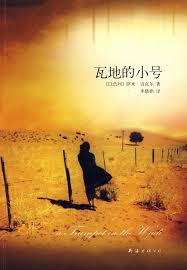 But how many Chinese readers will notice that this quintessentially Turkish novel has been translated from the . . . English? Not many, I’d wager. The spine of the book features “Turkey” in brackets above the author’s name, implying that the book and its author originated in that country, and cites the translator (贾文浩). The credits page gives the same information without identifying the source language. It should be noted that this is standard procedure in the People’s Republic. Thus the only reference to the fact that this Chinese edition is a translation of the English translation is in the last line of the translator’s Foreword. I interviewed Shen Zhixing (沈志兴), the Chinese translator of Orhan Pamuk’s My Name is Red, several years ago. He studied in Ankara in the 1980s and worked from the Turkish. The earlier Taiwan edition of the book was based on the American, and Pamuk—apparently very displeased with this approach—insisted that Shen translate from the Turkish original. Murong Xuecun has gained a name for himself through his unflattering vignettes of gambling, drinking, whoring and corruption in contemporary China. His best-seller, Leave me Alone: A Novel of Chengdu (成都，今夜请将我遗忘), prompted the authorities to convene a conference solely to critique the novel for sullying the Sichuan city’s image. But in a change of tack away from fiction writing, early this year the author decided to experience—first hand—just how a “direct selling” operation in Jiangxi’s Shangrao recruits and gains control over its members. His revelations hit the stands as the cover story for Southern Metropolis Weekly’s April 19 edition: “Murong Xuecun—Undercover 23 Days in a Pyramid Selling Organization” (慕容雪村卧底传销23天之一). Read my interview with Murong Xuecun about how he did it, and why. Israeli Writers in Chinese: Via Hebrew or English? I can tell you there is no market more challenging than America’s. I sell more books in China and Japan than in America . . .
Could be, and perhaps it’s the quality of the translations into the Chinese. My girlfriend read Roman Russi (蓝山) by Meir Shalev several times, and she’s on her third read of Hatsotsrah ba-Wadi (瓦地的小号) by Sami Michael right now. Ironically, it could well be that both these novels were translated based on English renditions (Blue Mountain and A Trumpet in the Wadi, respectively), not the original Hebrew. Crafty publishers in China often don’t list the language of the original work; instead, they identify the author by nationality, leaving you to guess which language the Chinese edition is based on. A quick look on the web shows that the translators of Roman Russi (于海江，张颖) and Hatsotsrah-ba-wadi (李慧娟) translate almost exclusively English books, so it’s unlikely that any of the three knows Hebrew well enough to translate it. Would you recruit a Shakespeare scholar to translate Catcher in the Rye? The instant I saw the New York Times’ piece on China’s “minority theme parks”—Disneyland-like affairs highlighting the culture of China’s 55 “ethnic minorities”—I knew it would soon appear in the Chinese press. But how would it be reshaped to render it politically correct for the masses, I wondered? The parks are money-making ventures. But scholars say they also serve a political purpose — to reinforce the idea that the Chinese nation encompasses 55 fixed ethnic minorities and their territories, all ruled by the Han. To show you how censorship works in the People’s Republic, the original article from the New York Times is fully reproduced below. Words that have been crossed out are those that were deleted from the Chinese version published in Cankao Xiaoxi. Enjoy! 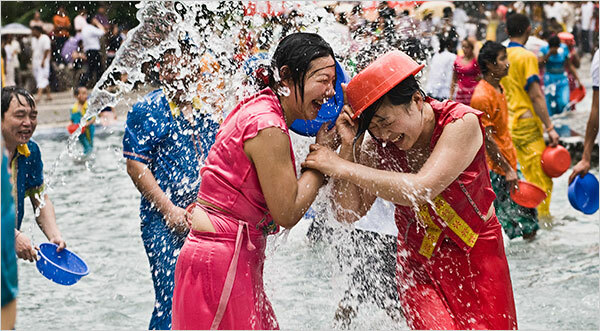 MANZHA, China — Tucked away in China’s steamy tropical southwest are the villages of the Dai people, famous throughout the country for a raucous annual tradition: a water-splashing festival where the Dai douse one another for three days in the streets using any container they can get their hands on — buckets, wash basins, teacups, balloons, water guns.